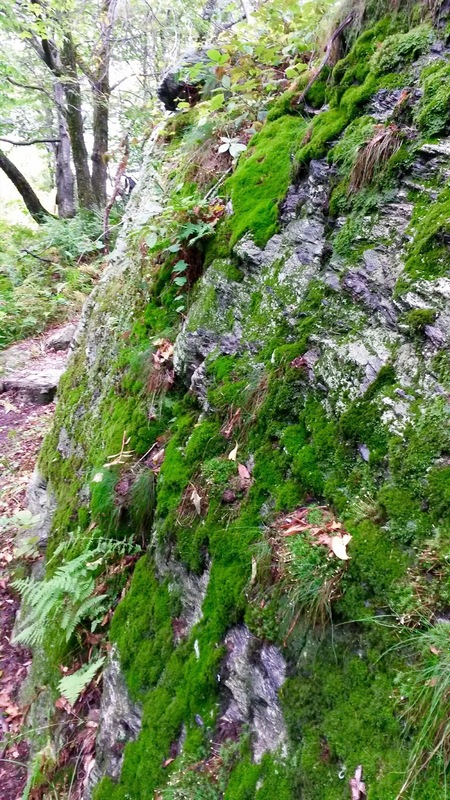 The Hoosac Range is northeast of Mount Greylock and just across the valley containing Adams and North Adams. 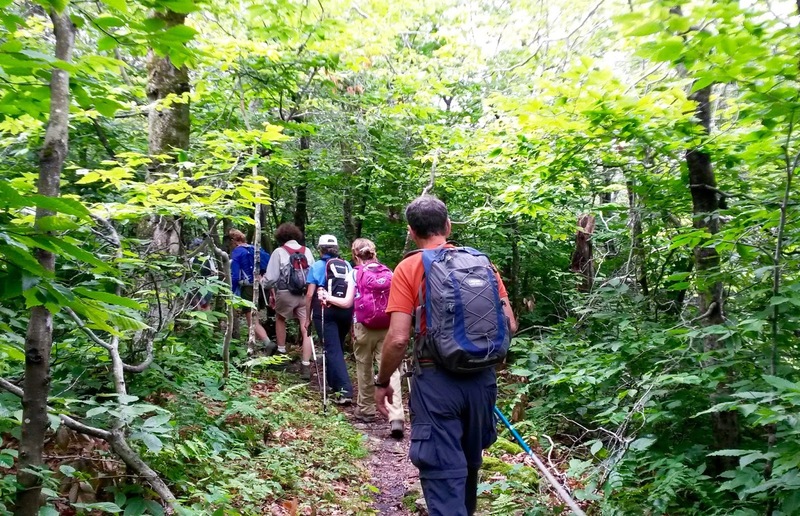 The Berkshire Natural Resources Council trail from Rte. 2 to Spruce Hill is carefully and artfully designed by Peter Jenson. 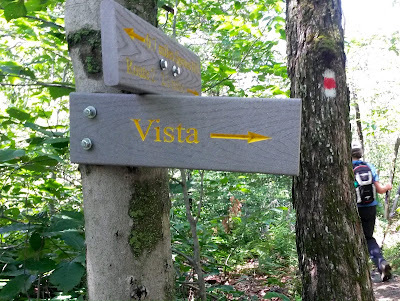 Completed in 2011, it's a moderate to easy trail with several views and interesting rocks and vegetation along the way. 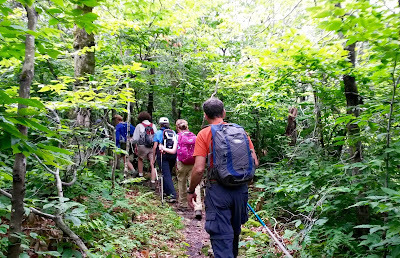 I walked with the Taconic Hiking Club which has been leading hikes in the Albany region since 1932 and maintains the 37-mile Taconic Crest Trail. Last week there was a nice breeze which was a relief from the previous hot humid summer days. It's a 6-mile round-trip to Spruce Hill and back to the parking area on Rte. 2. 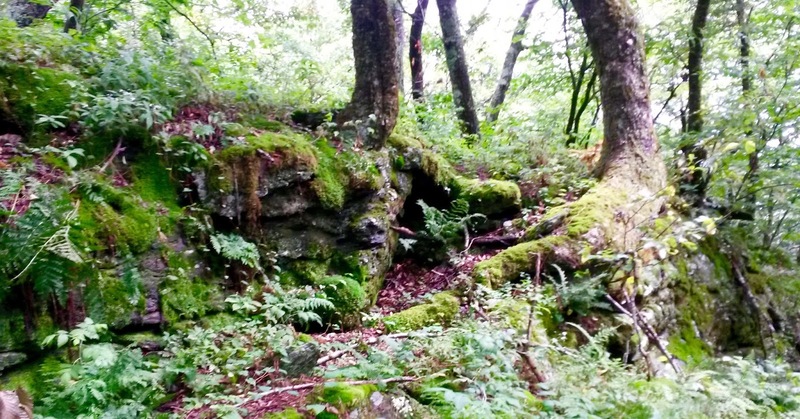 Thick tree roots flowed over the rocks in their attempt to hold the tree upright. The trail was wooded and much of it was level. Different colors and structure of mosses made beautiful soft patterns. 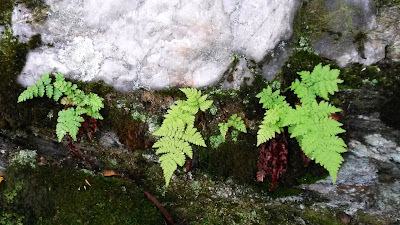 Cute little ferns came out of the rocks! The first view point was wide and lovely. 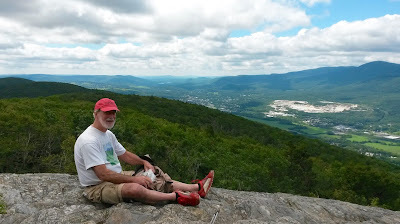 That's Mount Greylock behind me. 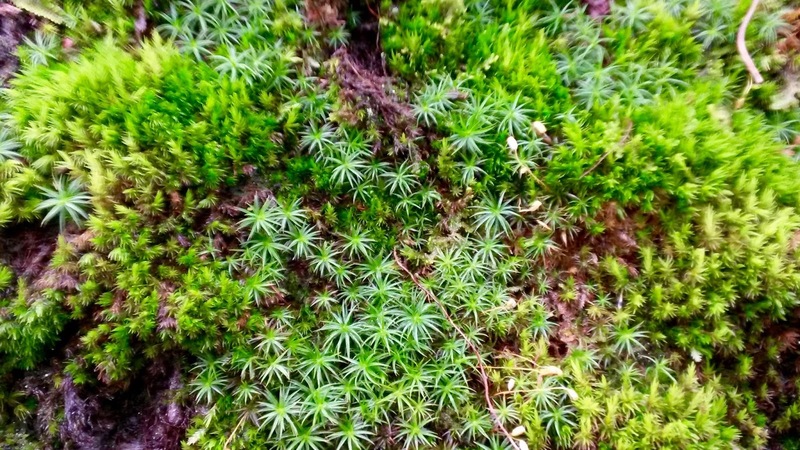 I loved the moss and ferns on the rocks. Spruce Hill was a our lunch location and turnaround spot. 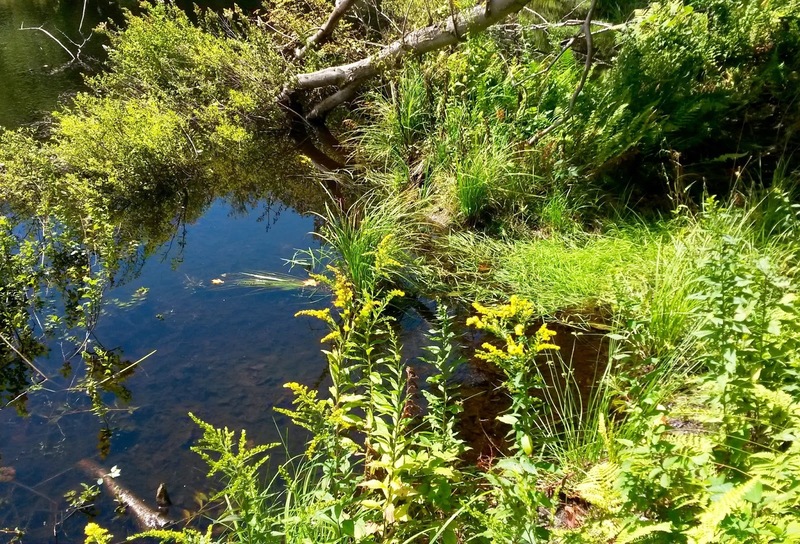 We took a short side trip to a beaver pond. 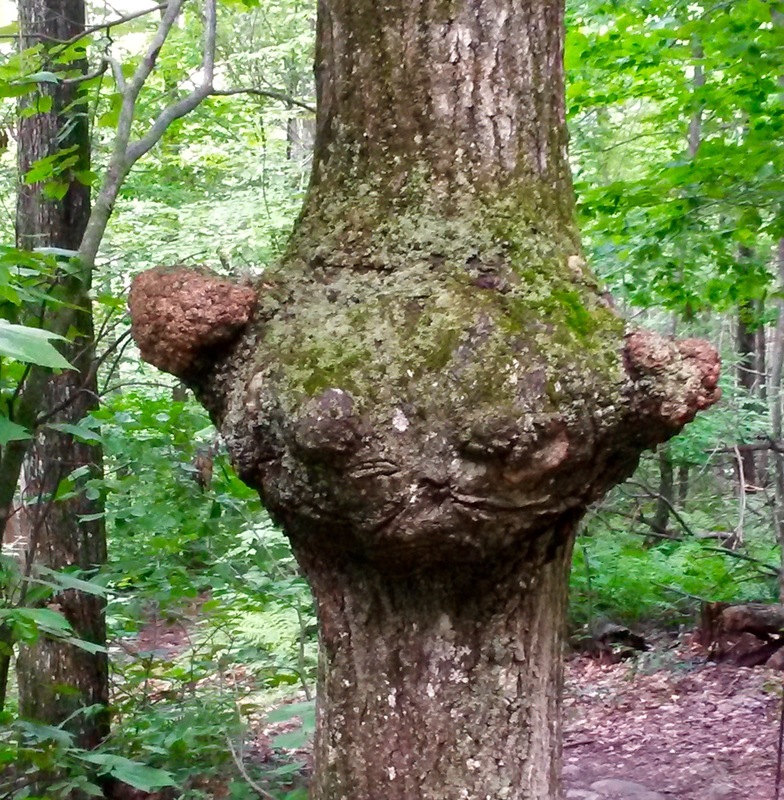 OK, so what does this burl look like to you? Yoda? The trail was well-marked and it was easy to follow the red and white blazes.